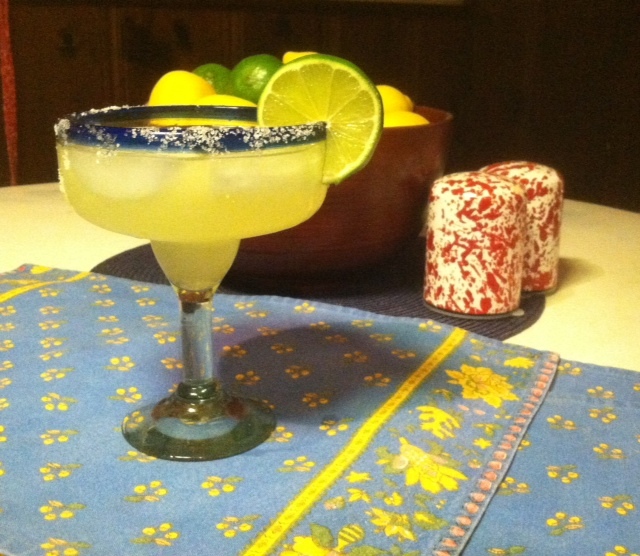 Summer is Saved!….Introducing the Low Cal Margarita! Unfortunately, there is one summer essential that does not go well with the margarita – the swim suit. Like so many of my favorite things, margaritas are loaded with calories. Perhaps that is God’s way of keeping us from having too many. In any case, due to the 10 or so stress pounds (okay ice-cream pounds) I’ve put on since last summer, I have been desperate to find a lower calorie alternative to my favorite summer beverage. Ta da!… I believe I’ve found it! I haven’t experimented with making these frozen or in a punch quantity, but I will definitely be giving it a try. In the meantime, for single serving, follow these directions – well, more like suggestions. Mix well and pour over ice. Enjoy with your favorite summer activity – unless it involves operating heavy machinery. Saint Arnold of Metz, patron saint of brewers said, “From man’s sweat and God’s love, beer came into the world.” I think the same can be said for margaritas. They are one of life’s little gifts and pleasures. Now I hope I can enjoy them along with one of life’s other great pleasures – not being too fat to wear my swimsuit. Cheers!